Grilled Romaine shouldn’t make sense and yet, somehow, it does. Grilling veggies gives them a deeper flavor. Try this with any summertime vegetables, including squash, okra, eggplant, and artichokes. 1. Take a fresh head of Romaine lettuce and split it down the middle. Spray or brush olive oil on the cut side. 2. 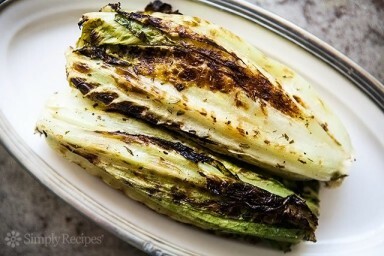 Grill the split Romaine lettuce heads until they’re charred and smoky. If your grill is hot, it won’t take long! 3. Top with salt and pepper, crumbles of bleu cheese, bacon bits, and a vinaigrette dressing. Pair this savory salad with beef or chicken. Full instructions on how to grill Romaine properly can be found on SimplyRecipes.com. 1. Insert a skewer into the center of one end of the uncooked hot dog and push until it comes out the other end. You may have to guide the skewer carefully to keep it straight. 2. Use a sharp knife to make an angled cut all the way to the skewer. Continue down the length of the dog, turning as you go. 3. 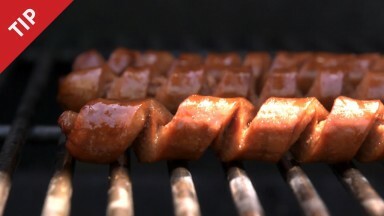 When finished, remove the skewer and do it again, for as many hot dogs as you want to grill. Check out the full tutorial on Chow Tips. You may know that grilling peaches and apricots brings out the rich, complex flavors of these fruits—and grilling puts a new spin on that summertime favorite, too. 1. Prepare a medium-hot grill. Slice a red onion horizontally into rounds and brush with olive oil. 2. Slice a watermelon into sections and brush each with olive oil as well. Grill onions and watermelon for about 3 minutes per side. Remove the slices from heat and dice. 3. 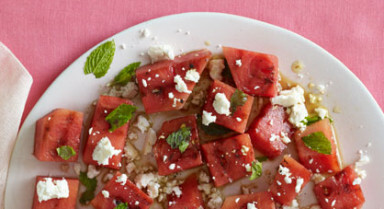 Mix onion and watermelon with crumbled feta, balsamic vinegar and olive oil, salt and pepper, andtoss the salad. Let sit for a few minutes at least before serving. Toss again just before serving. Full instructions can be found on Health.com. Ground buffalo meat has fewer calories and roughly half the fat of lean beef, but you lose nothing in flavor—especially when you throw some Parmigiano-Reggiano cheese into the mix. 1. Oil grill rack and preheat to high heat, with another grill area reserved for lower heat. 2. Mix 1 lb. 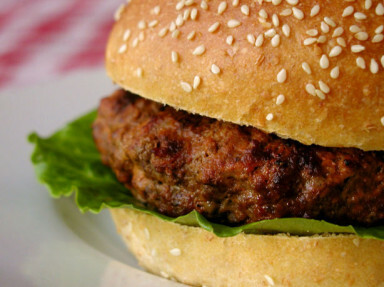 ground buffalo, 1/4 c. grated Parmesan cheese, 1 T. olive oil, 1 t. Worcestershire sauce, salt and pepper.. Divide buffalo mixture into 4 equal portions, gently shaping each into a 1/2-inch-thick patty. 3. Place patties over high heat until nicely browned on both sides. Don’t press the burgers with your spatula! They will lose moisture and won’t cook any faster. Once the burgers are browned on the outside, move to a lower-heat area of the grill ; until patties reach an internal temperature of 160˚. Another great buffalo burger recipe can be found on Food.com. Looking for a grill to try out these tastey recipes? 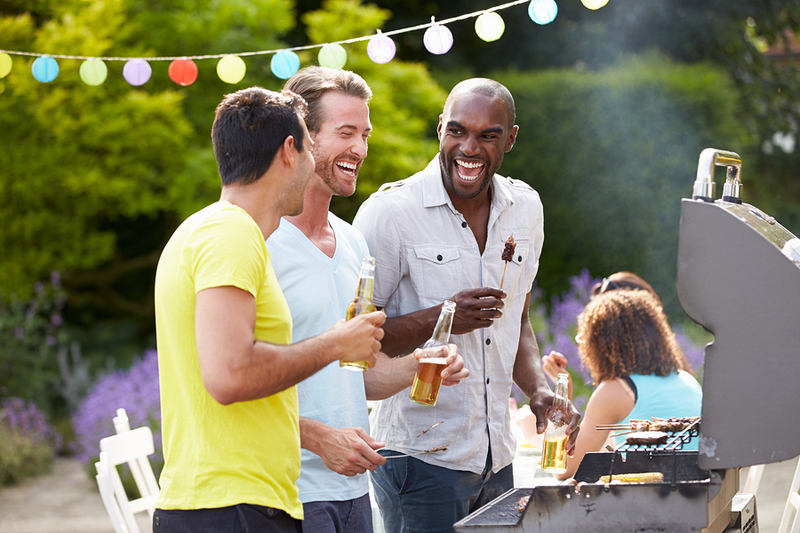 Check out our Grill-Buying Guide.